IKKS is a French lifestyle fashion brand offering collections for women, men and children. With a French easy chic style, IKKS combines authenticity and freedom with more than 1,500 references on its online shop. The customers of the brand who visit the IKKS website look at the items and need help or instantaneous tips by messaging before making a choice and order: tips about sizes, fitting cuts, materials, etc. but also tips about logistical information. IKKS used to offer tips in real-time to its customers on its website with its internal customer service team logged in to the iAdvize platform. By working hand in hand with freelance personal shoppers from the ibbü community, IKKS wanted to extend this premium experience throughout the year, 24/7 outside traditional customer service’s opening hours. “We wanted to reinforce our customer service while providing the same quality of tips and increasing our turnover“, explains Marie Voiton from the IKKS E-SHOP customer service. How do we communicate with the experts? Each morning, I have a look at the Livefeed on the platform to see if they have questions. We keep them up to date as much as possible about our current offers, discounts or technical elements in order to unify our speech. ibbü pre-selected profiles of fashion enthusiasts for their expertise and interpersonal skills. IKKS had specified two vital criteria: the quality of their speech and fashion sensibility. 6 experts have been validated. They get paid for each tip they give. 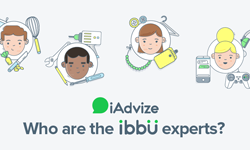 3,000 tips are shared by ibbü personal shoppers each month, in addition to the ones given by the brand’s customer service team. These 6 experts allow IKKS to offer a personalized experience in real-time on its website 20 hours a day and 96% of customers say they are satisfied after a conversation. During the last private sales period, IKKS multiplied by 6 the turnover generated after a conversation. Yes, indeed! I’m an enthusiast, I love to follow trends, read magazines, etc. It’s a real pleasure to find outfits, assemble accessories that go with it and, first and foremost, I love to see customers satisfied when they have found the right product. I advise a lot of different profiles! Sometimes, I help grandmas find clothes for a newborn grandchild, teenagers for an outfit to go to school, men to coordinate their clothes… it’s really eclectic. Sometimes, I use emojis but I’m always formal with customers. What’s your typical day as an expert? I log in to the mobile app and not on my computer. This way, I can be with my daughter and chat at the same time, wherever, whenever I want. The platform is easy to use and intuitive to advise and guide customers. I’m also here to support customers during the purchasing cycle (problem with their orders, etc.). 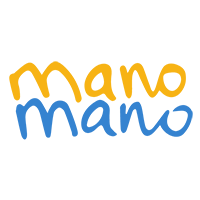 We make a real impact and decrease the number of incoming calls the customer service team receives. If we need to, we can ask questions on the Livefeed where other experts, professional agents and the ibbü team can answer us. Do you want to know more about ibbü’s potential on your website?